MPOC 2011 1st Leg Location Confirmed! The first leg of the Malaysian Paintball Official Circuit will be hosted in UPM (Universiti Putra Malaysia), Serdang, Selangor. Padang Bukit Ekspo, Kampus Selatan (South Campus). We apologize for the delay – we’ve had to consider how to best accommodate the fact that we have over 70 teams registered! Thank you all for being patient, and good luck this weekend! Malaysian Paintball Official Circuit 2011! 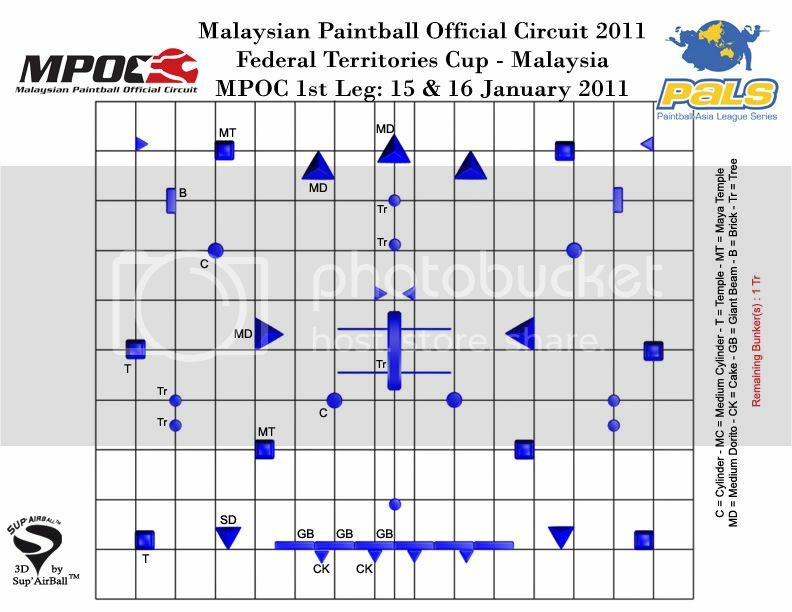 The Malaysian Paintball Official Circuit (MPOC) is back for 2011! The most prestigious Malaysian paintball league, the MPOC is sanctioned by various international paintball bodies, including the Millennium series in Europe, and the PSP in US. Locally, the MPOC is supported by the Ministry of Youth and Sports (KBS), the Ministry of Tourism, and the Royal Malaysian Police. As a special bonus, we’re giving FREE REGISTRATION for the first leg (Federal Territory Cup) to the first 50 teams to register! Book your spot now! Last weekend was the fifth leg of the Malaysian Paintball Official Circuit (MPOC) 2010, and it was a glorious end to a great season! Officiated by YB Hannah Yeoh (ADUN Subang Jaya) and Tuan Haji Abdullah bin Marjunid of MPSJ, the event started off with a literal bang, as YB Hannah Yeoh gave a short, but inspirational speech and dry-fired a marker during the opening ceremony. MPOC Tournament Director Paul Lam handing a token of appreciation to Tuan Haji Abdullah bin Marjunid of MPSJ while YB Hannah Yeoh looks on. 46 teams competed, though it was an especially intense time for those running for the MPOC 2010 Series Championship.